This West Palm Beach Motorcycle Accident Lawyer Anthony Quackenbush represents people injured while riding. Motorcycle accidents can be devastating. 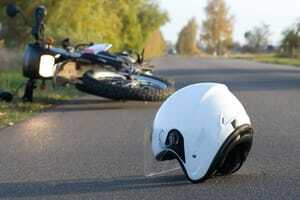 Catastrophic Injuries are frequently caused because motorcyclists do not wear helmets. This can result in brain injuries, brain damage, brain bleeds and head injuries. Motorcycle crashes are caused by all sorts of things. This includes the negligence of other drivers on the roadway. In fact, other drivers cause motorcycle wrecks more often than the motorcyclists themselves. This may be because it’s sometimes difficult for other vehicle drivers to see the motorcyclists. Should you be hurt in a motorcycle wreck anywhere in Florida (including Miami, Miami, Broward County and Fort Lauderdale), call Mr. Quackenbush at 954-448-7288. This West Palm Beach Motorcycle Accident Lawyer will fight hard for your rights. Mr. Quackenbush will gladly discuss your case with you at no charge. If you weren’t wearing a helmet at the time of your accident and you sustained a brain injury, then the defense may argue that this contributed to your injuries. That is, the defense will argue that you were “comparatively negligent” as a result of your not wearing a helmet. If the Jury in your case agrees, then it will be asked to divide up percentages of fault. For example, the Jury could say that the other vehicle driver was 50% at fault for your injuries by causing (or contributing to your crash), and you were 50% responsible for not wearing your helmet. Or the Jury could say that the other driver was 90% at fault, and you were 10%. Whatever amount of compensation the Jury awards you will be reduced by your percentage of fault. For example, if the Jury awarded you $100,000 but felt that you were 10% at fault for your own injuries for not wearing a helmet, then you will receive only $90,000. In order to reduce this percentage of fault, Mr. Quackenbush will likely hire a helmet expert. This expert will evaluate your crash and injuries and form an opinion on whether or not a helmet would have helped. That is, a helmet would not always have helped to prevent your injuries. If the helmet expert believes that your brain injuries would have occurred even if you were wearing a helmet at the time of the wreck, then Mr. Quackenbush will argue this in court. Further, sometimes helmets fail and allow injuries. If you were wearing a helmet at the time of your collision and you still sustained a brain injury, the fault could have been the helmet’s itself. If this is the case, Mr. Quackenbush will also hire a helmet expert to evaluate the helmet. If the helmet expert feels that the helmet was defective, then Mr. Quackenbush may file a lawsuit against the manufacturer, distributor or retailer of the helmet. After all, these entities are responsible for selling a safe, effective helmet. If they don’t, then they will be liable. If you are hurt in a car accident anywhere in the State of Florida, you will be entitled to $10,000 of “personal injury protection” (“PIP”) benefits for your medical bills and lost wages as long as you had automobile insurance. This is true whether or not you caused the accident (i.e., it is “no-fault”). However, this isn’t true for motorcycle accidents. As such, it is extremely important that you get the compensation you need after a motorcycle accident. After all, your car insurance won’t pay for your medical bills. Motorcycle wrecks also frequently result in death. If this happened to your loved one, then you may be able to pursue a wrongful death case on your loved one’s behalf. In such a wrongful death case, an estate must be established on your loved one’s behalf. Then you or another loved one will be appointed as the “Personal Representative of the Estate” (“PR”) – i.e., the person who will stand-in for your loved one and pursue the case on your loved one’s behalf. At the end of the case when compensation is earned, that compensation will go to your loved one’s survivors (also referred to as the “beneficiaries of the estate”). There are various limitations and restrictions on who can be a beneficiary of an estate in a wrongful death case, so it is best to contact Mr. Quackenbush to determine this. Additionally, the statute of limitations in a motorcycle accident case is four years. This means that, after a motorcycle crash, you have four years to file a lawsuit. However, this is different if the accident has resulted in a death. In that case, the statute of limitations is only two-years. Should you be hurt in a motorcycle accident anyplace in Palm Beach County (including Belle Glade, Boca Raton, Boynton Beach, Delray Beach, Greenacres, Jupiter, Lake Worth, Lantana, North Palm Beach, Palm Beach Gardens, Palm Springs, Riviera Beach, Royal Palm Beach and Wellington), contact Mr. Quackenbush at 954-448-7288. He will talk to you about your case at no charge.